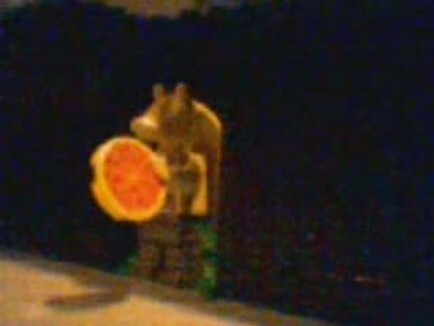 Here are some of my Brickfilms, these were made using the old Lego Studios program, so please excuse the "low-def' image quality. You will need to click the pictures to watch the films. The Legington Royal Commandos-Battle for the City of Wizards, was made last year (2007), construction began late 2006, and filming started in May 2007. I actually postponed filming until I got my first order of Brickarms (a gift from my Mom for my birthday). It has some of the best special effects that I have done with Lego Studios, the weapons fire is carefully made paper slots with a laser Pointer shining on them, the explosions- cotton balls (in stop-motion), and one of the coolest things, the bullet holes are dots of washable craft paint. The City of Wizards has been invaded by the Communist Bat Kingdome and it's allies the Megablocks, before the Legington can retake the city the Royal Commandos must secure the docks and a nearby train station. Watch as the Legington Royal Commandos take it to the enemy in this exciting film. You can see my hand in a few scenes, most notably when the tank is crashing through a building, I was having trouble with the lighting and I didn't know my hand would be on the screen (The computer screen was about six feet away, so I couldn't really see it to well.). 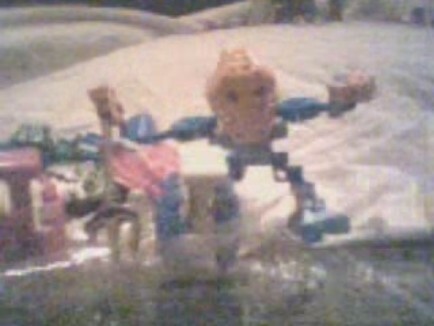 The Matoran are entering the fishing contest and the Rahaga are the judges. It is a Comedy film, I had no plans to make, me and my lil' sis' were playing Bionicle when I said "Hey Let's make a Bionicle Lego Movie!". So we quickly set up a beach and built some fish and made this Brickfilm in a couple hours. 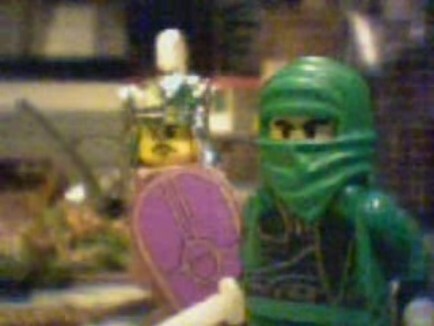 The Second Dragon War has begun, this film is based on my work of Literature "The Second Dragon War". This is the first part of my film version of the story, there will be four more parts to the series. Bloopers, I accidentally filmed this with the prince wearing a crown, when I planned to give him Hair. This was the film I made for Lego's Star Wars movie contest. I made this in a couple of hours and was quite satisfied with it. It is a comedy film in which a Gungan steals some pizza from some Storm Troopers and a Clone Trooper.